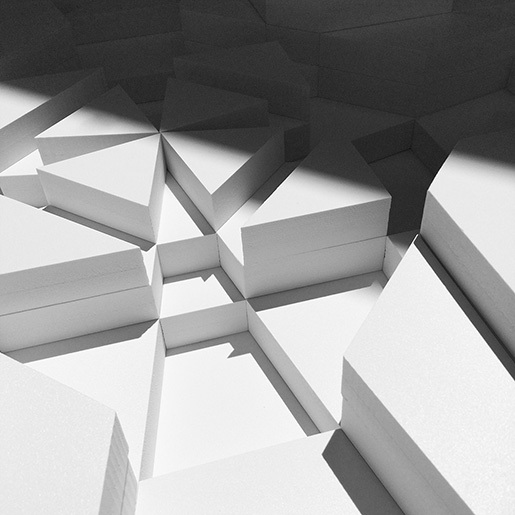 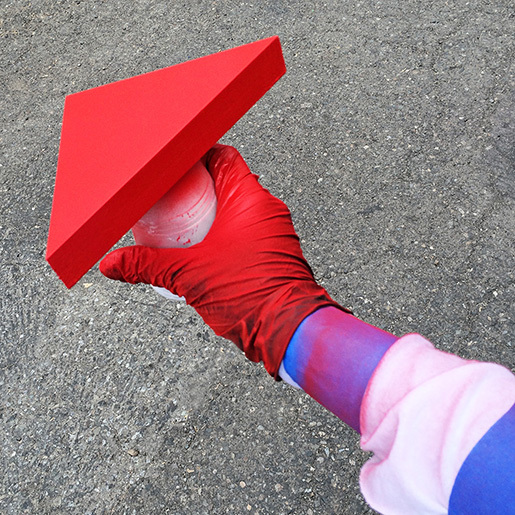 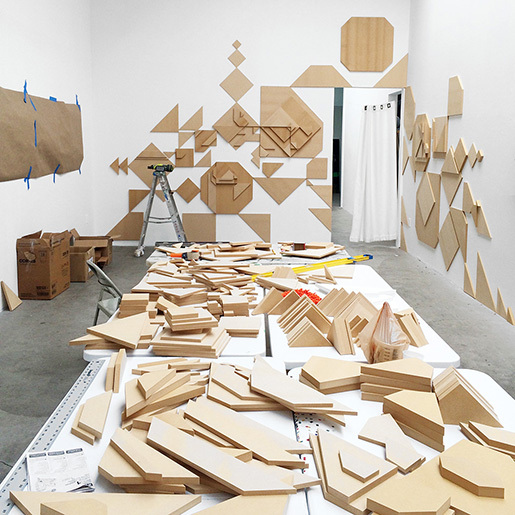 SHADOVVS — Artist Residency & Exhibition — 886 Geary Gallery — San Francisco, California (Summer 2015). 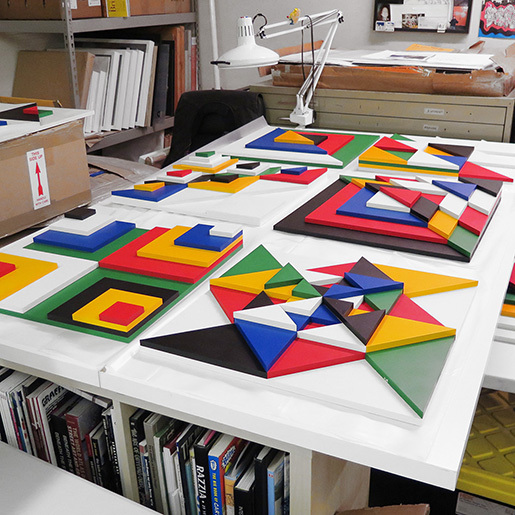 SHADOVVS celebrates a new trajectory for American artist & designer Matt W. Moore. 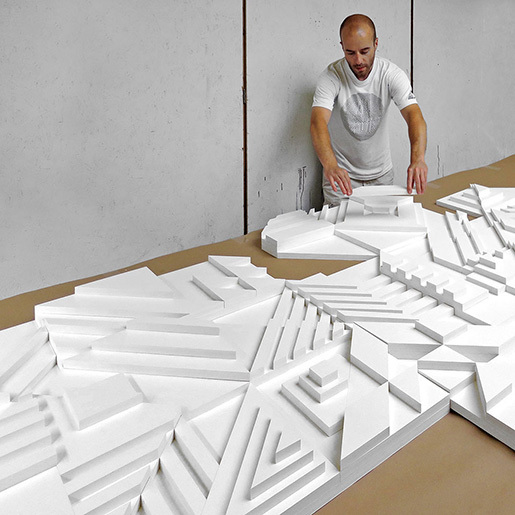 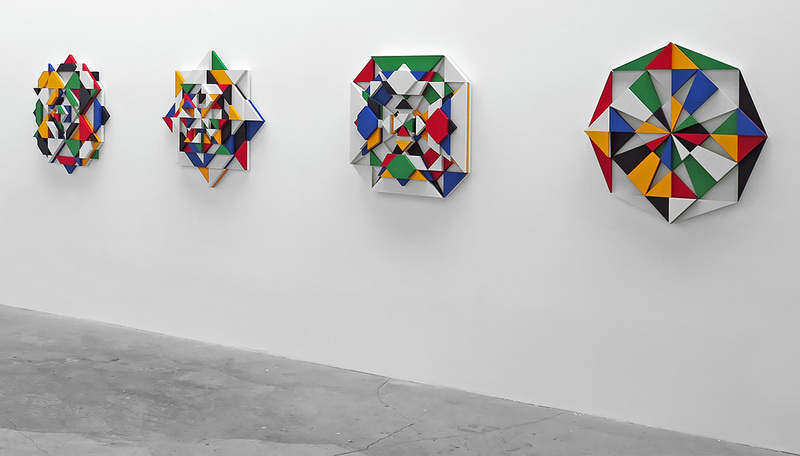 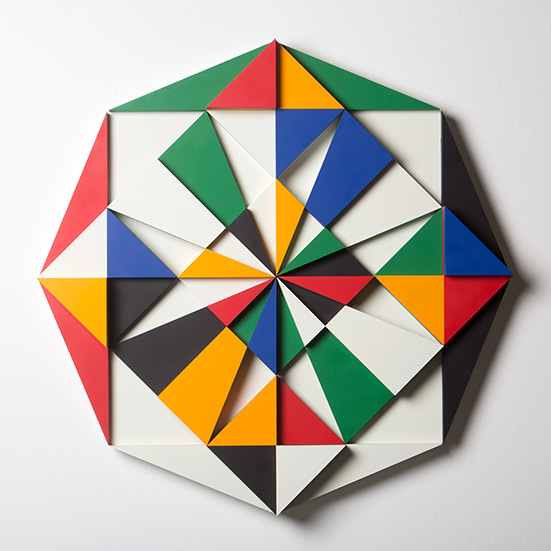 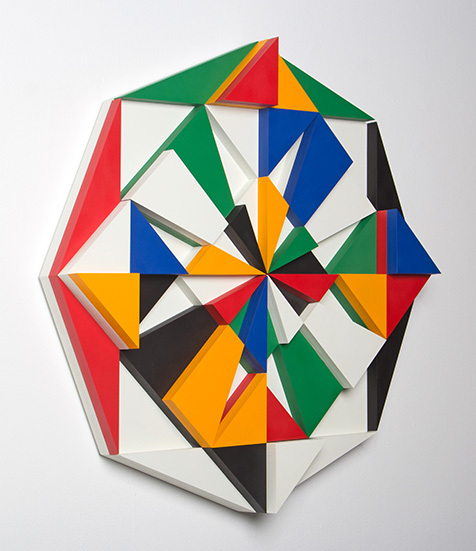 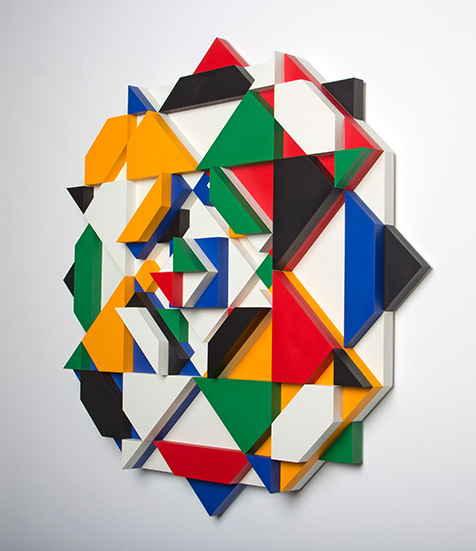 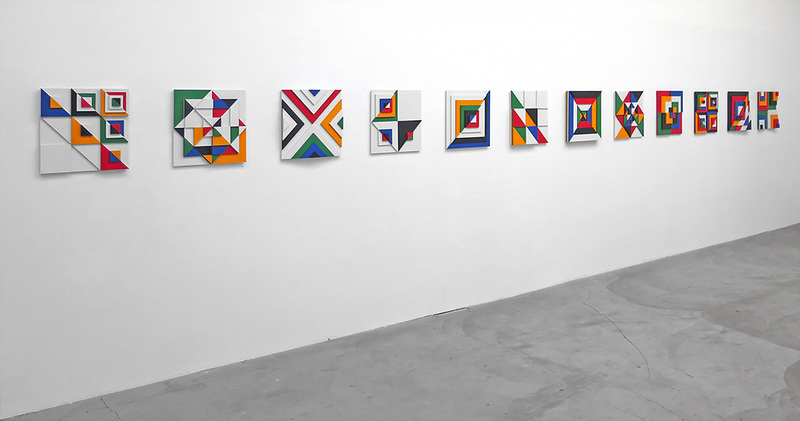 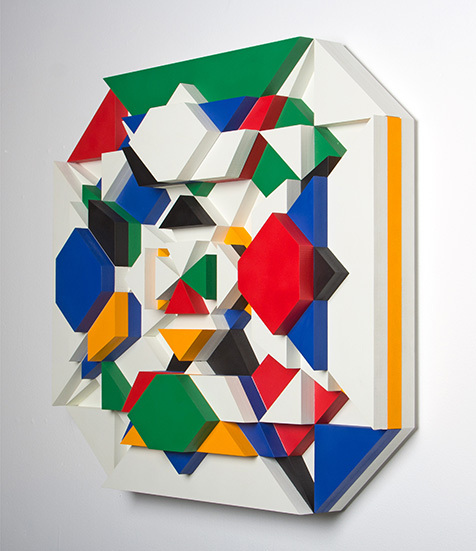 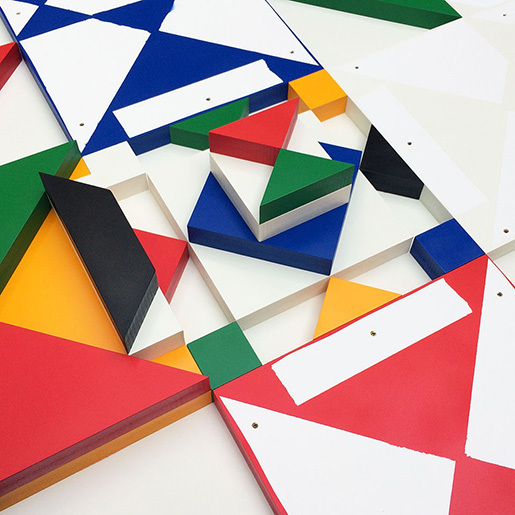 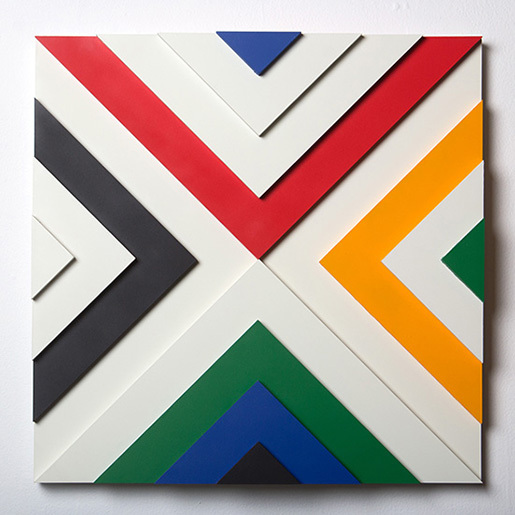 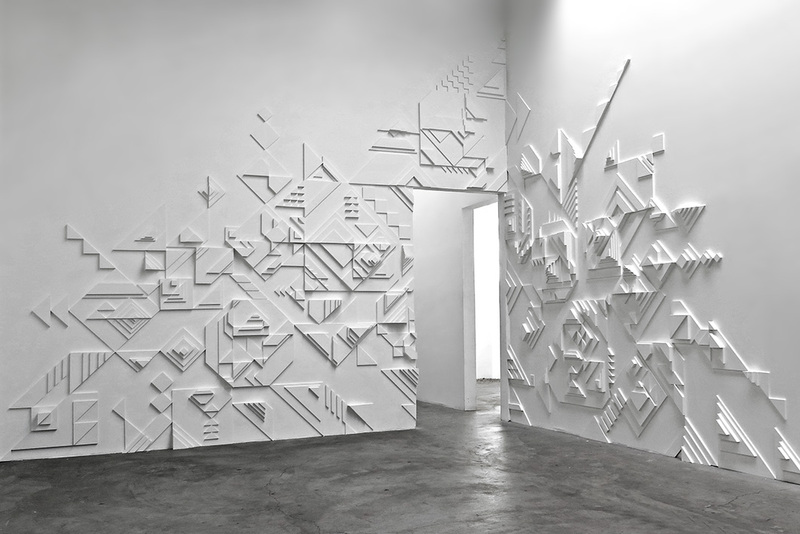 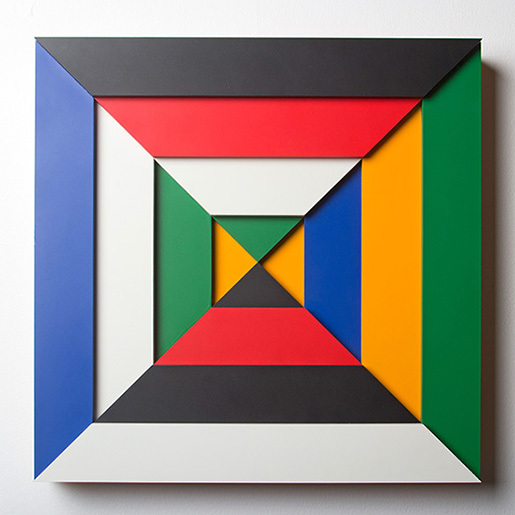 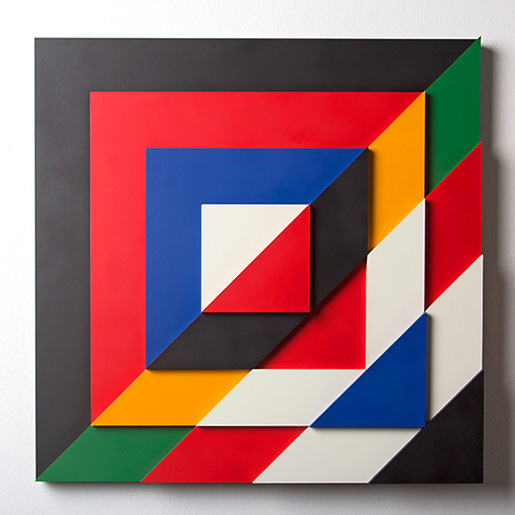 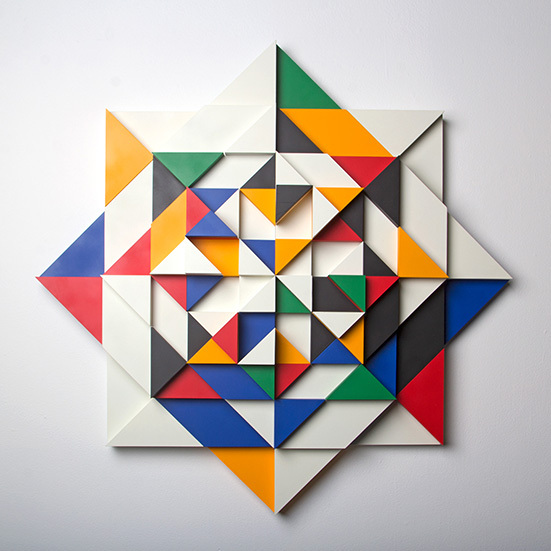 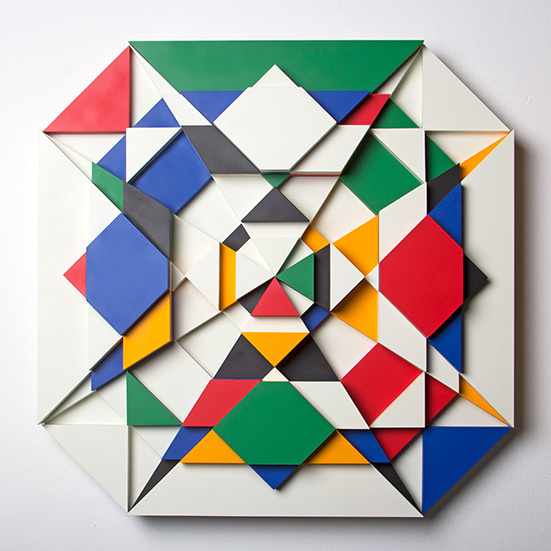 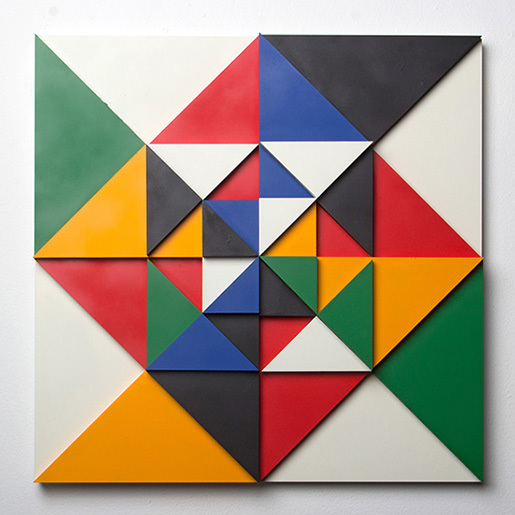 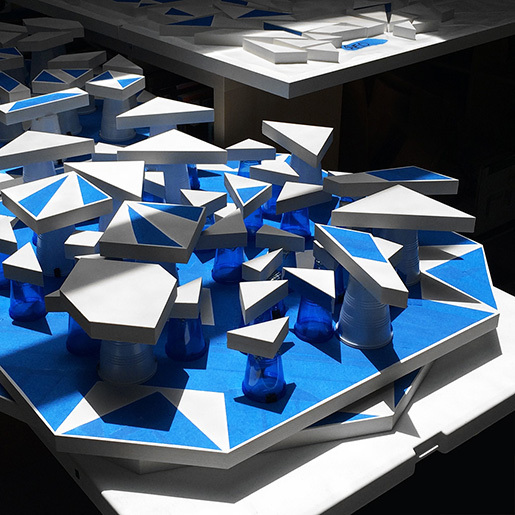 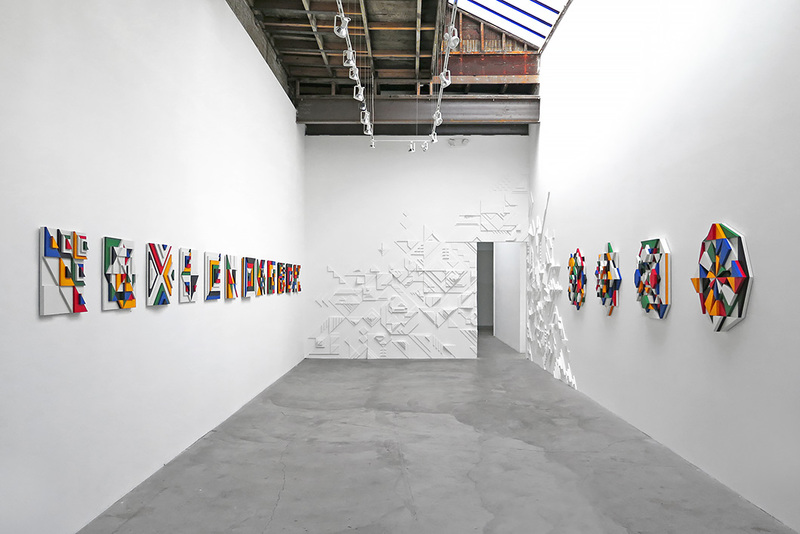 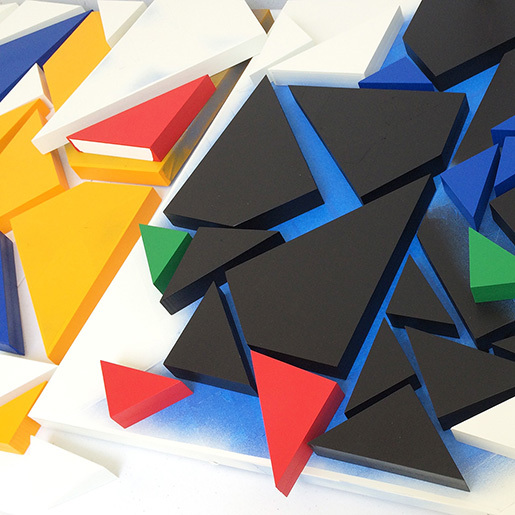 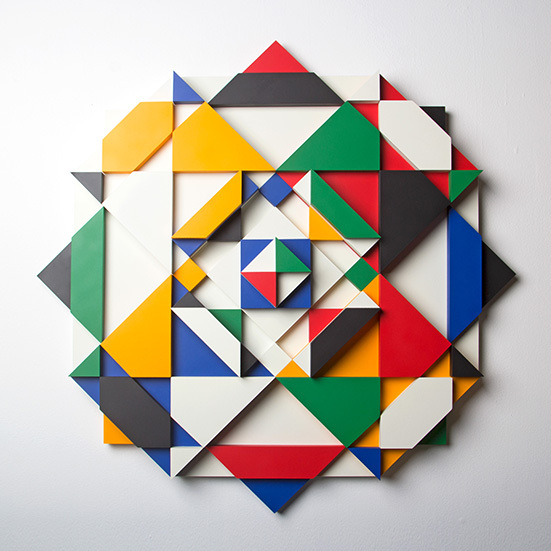 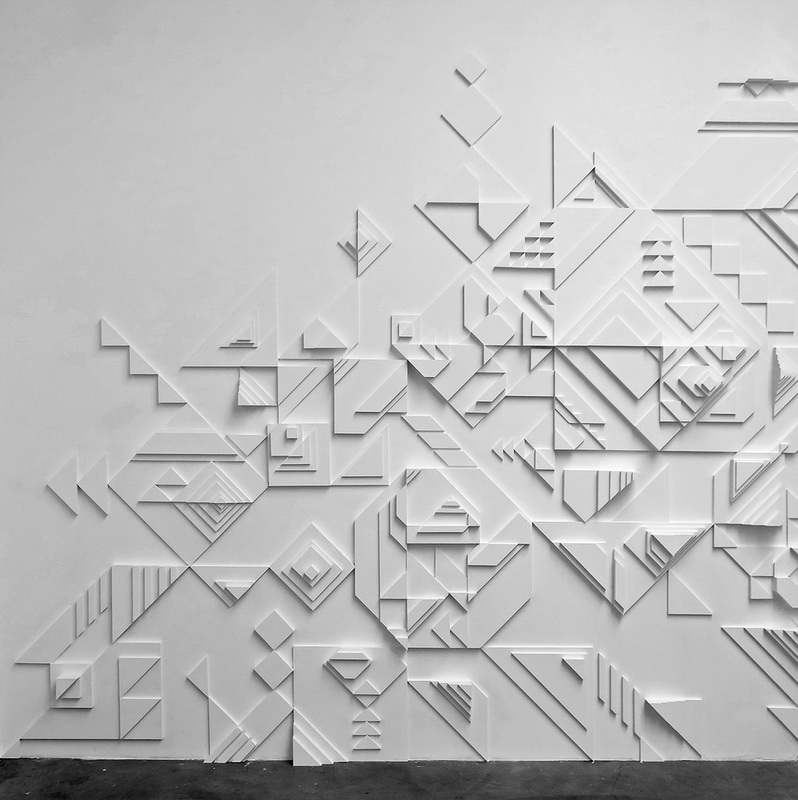 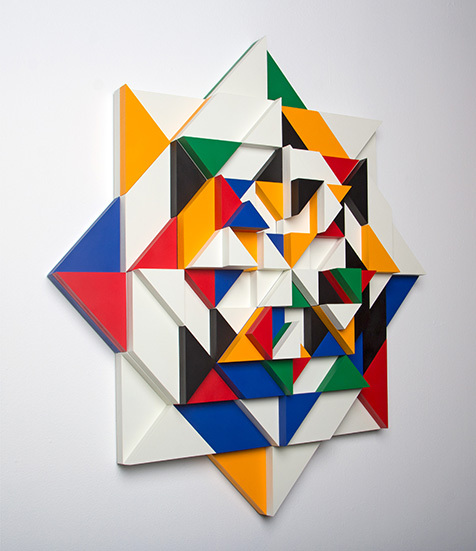 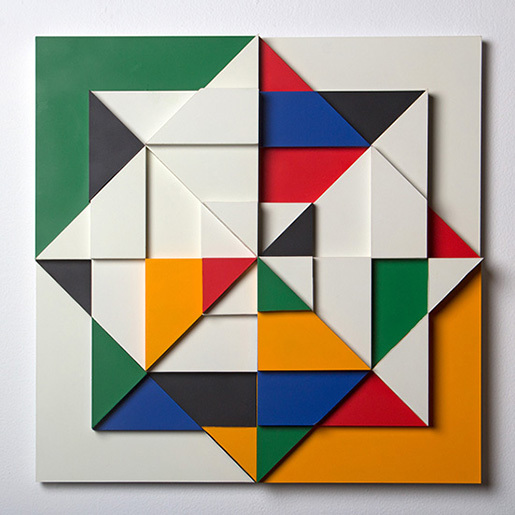 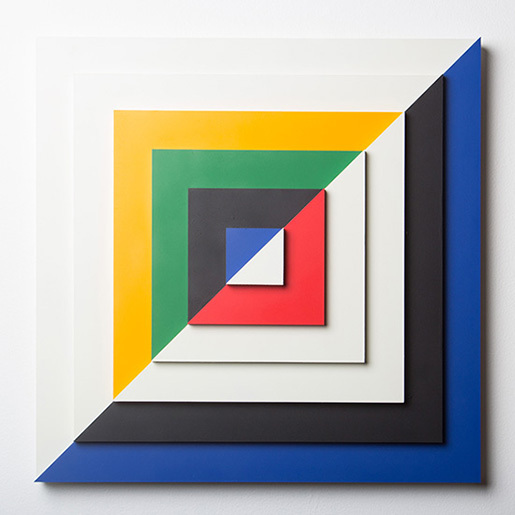 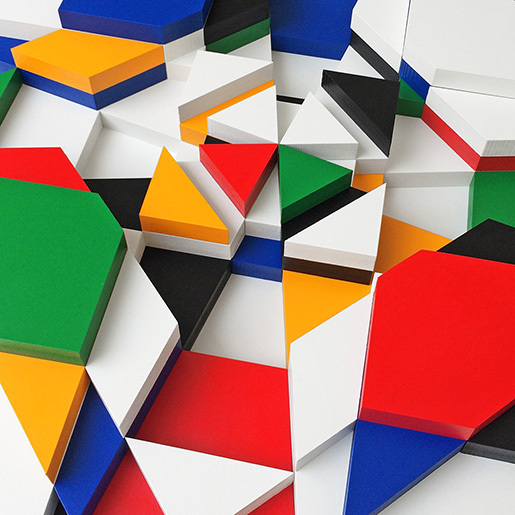 During a 2 month stay in Oakland, CA, and a 2 week residency within 886 Geary Gallery, Moore constructed a new body of work that fuses his bold, graphic, op-geo vocabulary with extruded mosaic forms that bring the works to life in three dimensions. 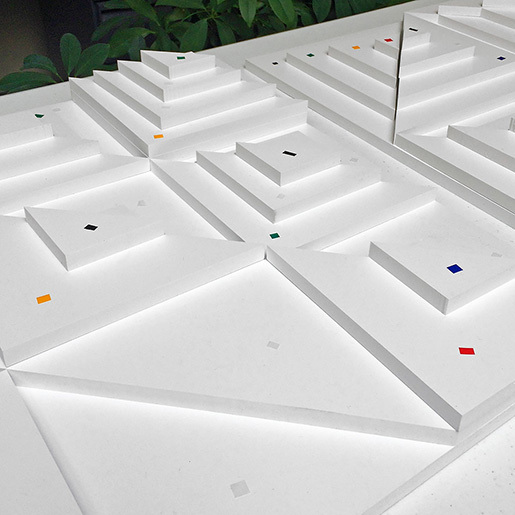 The series is activated by the angle and intensity of the light source, be it a deliberate directional lamp, or the natural curve of each day’s sun cycle. 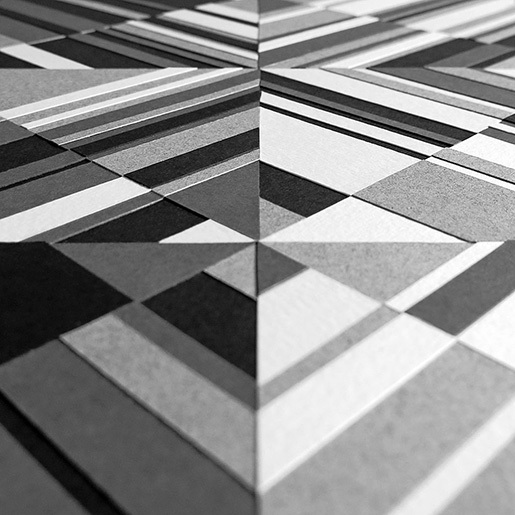 Symmetries and depth are revealed, and color palettes are expanded upon into parallel hues revealed by the shadows. 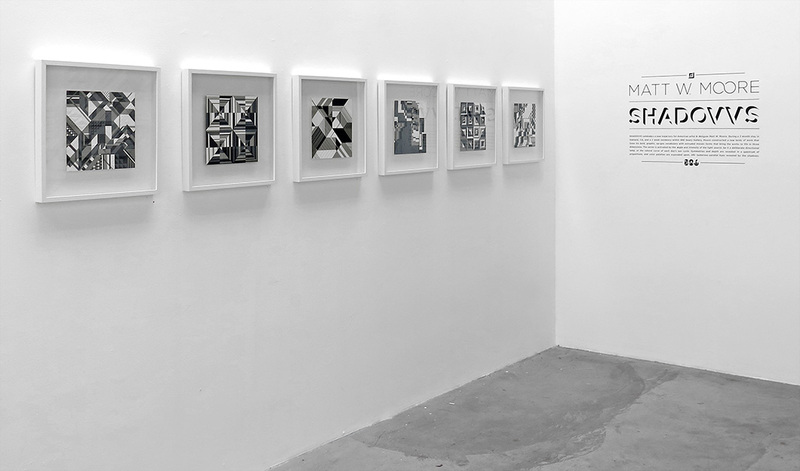 The exhibition is comprised of 5 chapters, each with its own concept and aesthetic. 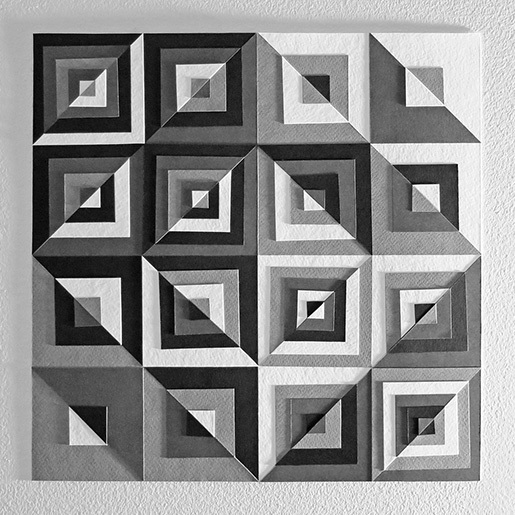 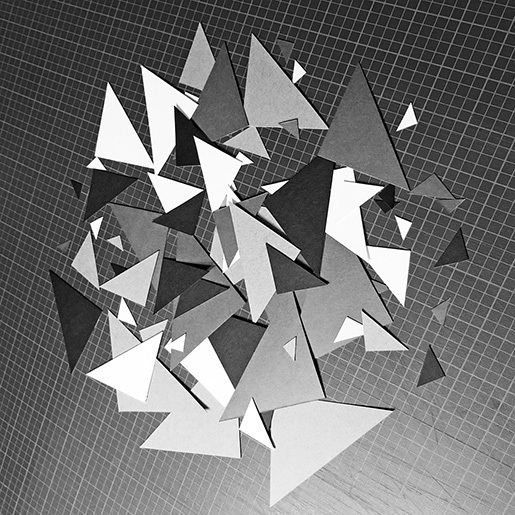 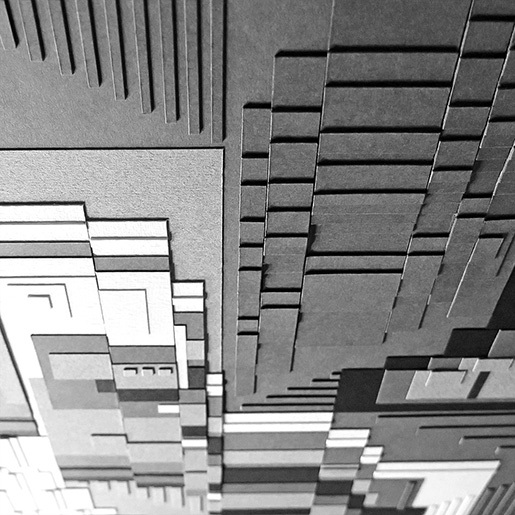 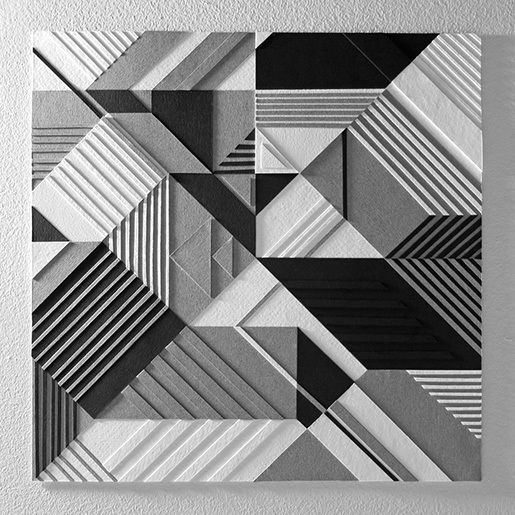 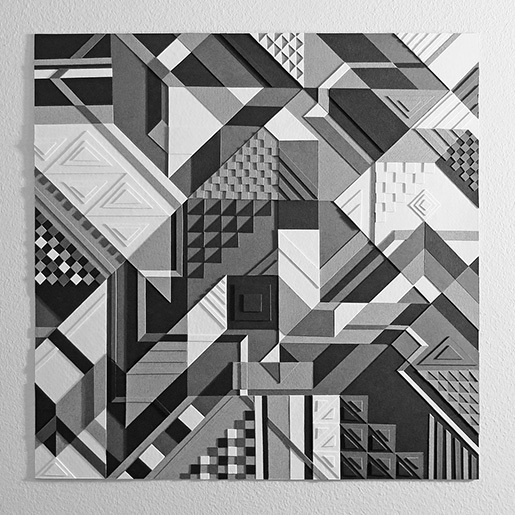 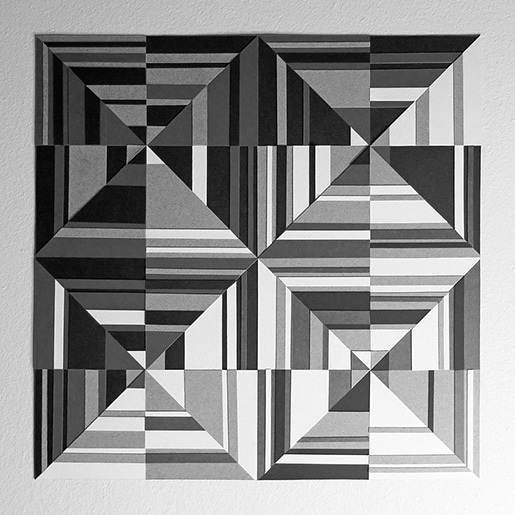 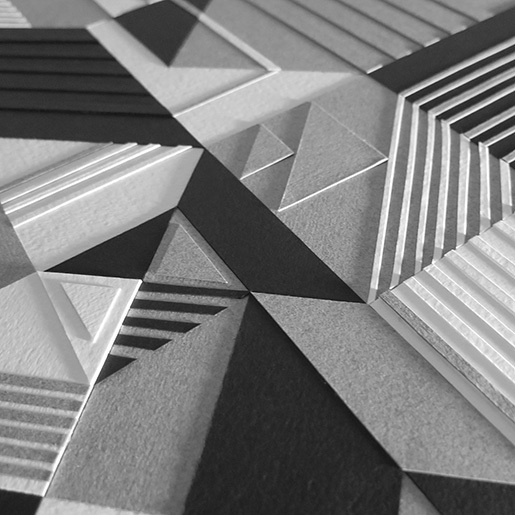 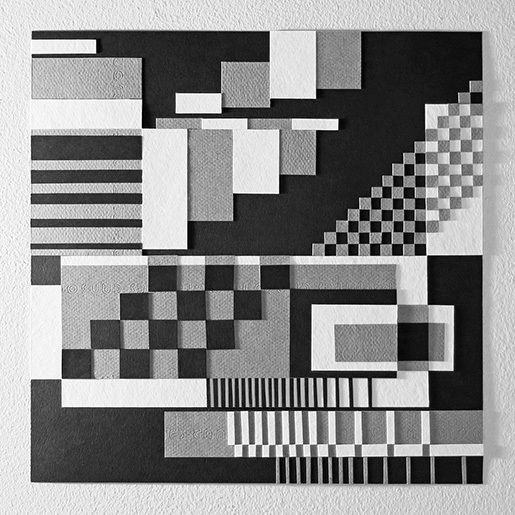 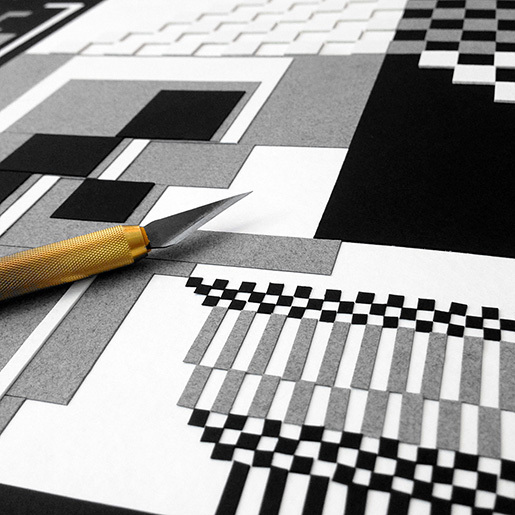 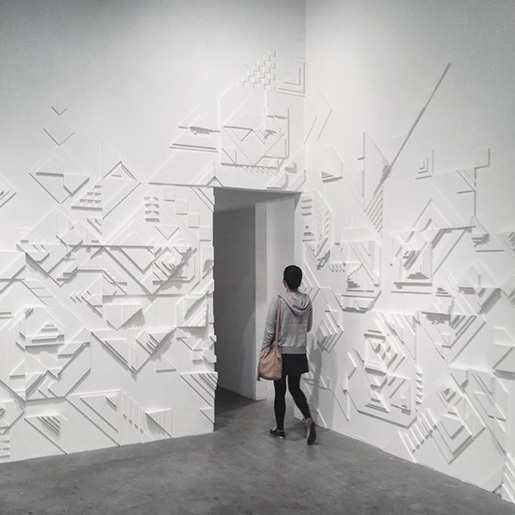 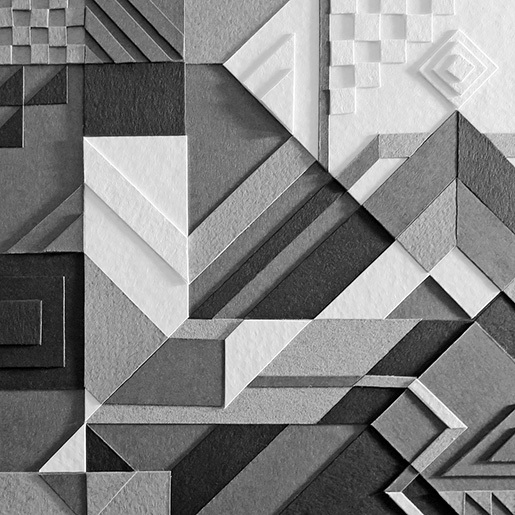 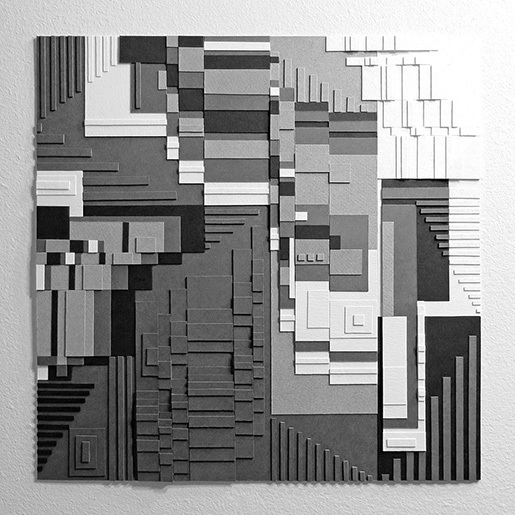 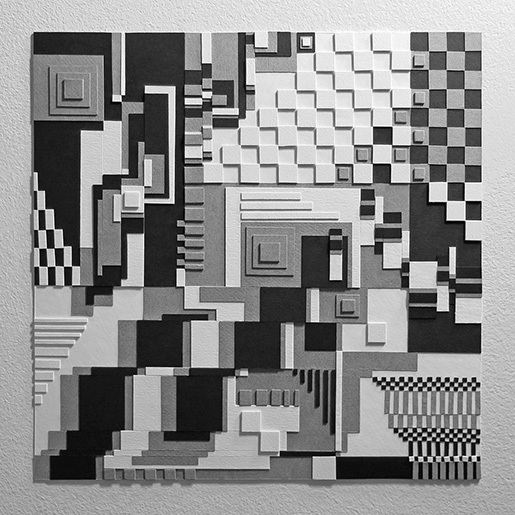 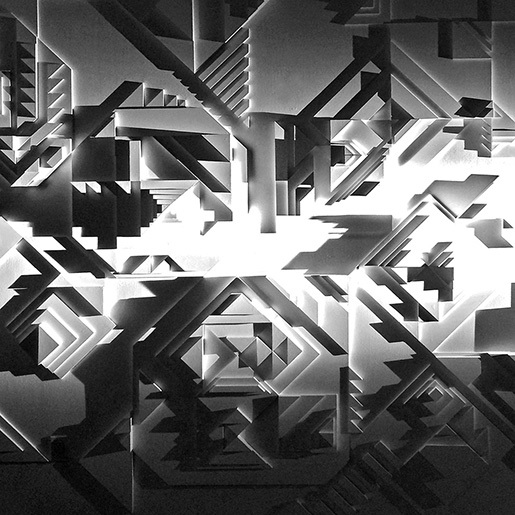 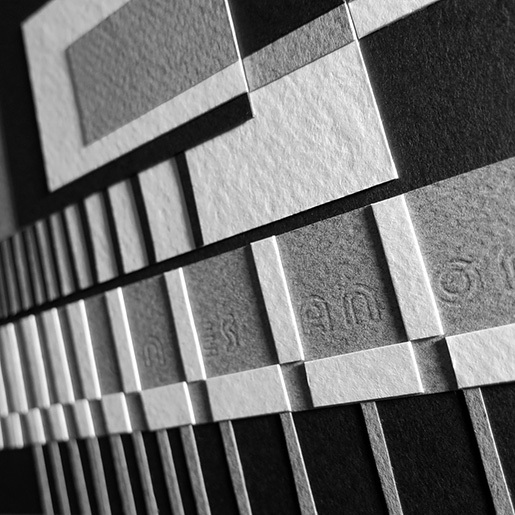 A series of greyscale cut-paper mosaics created in Montreal in Fall 2014 is displayed as evidence of the explorations that led to the layered sensibilities of the more elaborate colorful works created during this Bay Area residency. 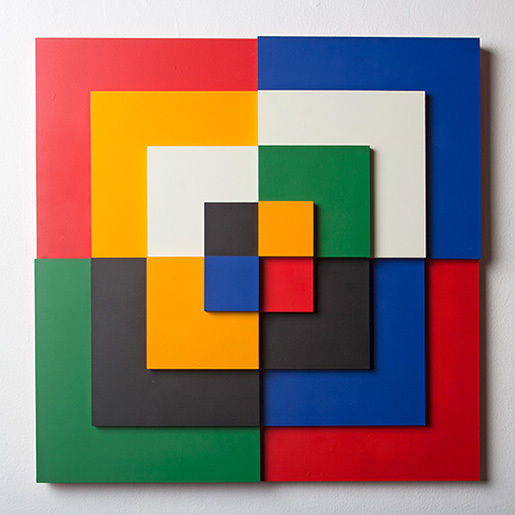 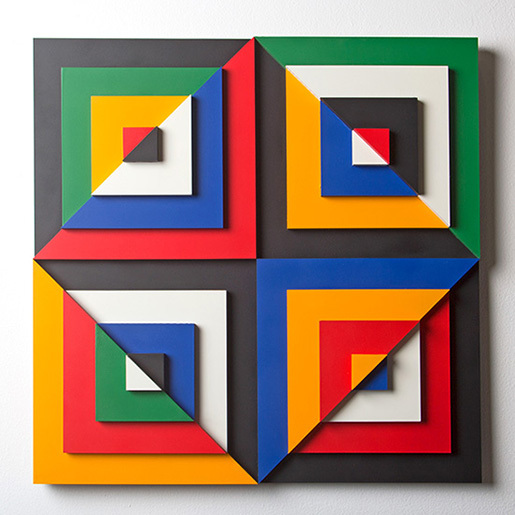 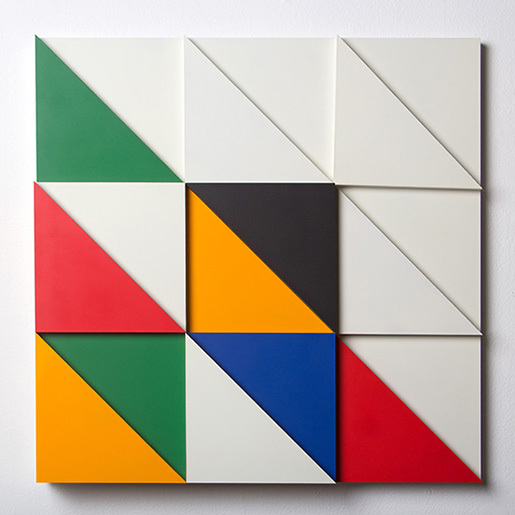 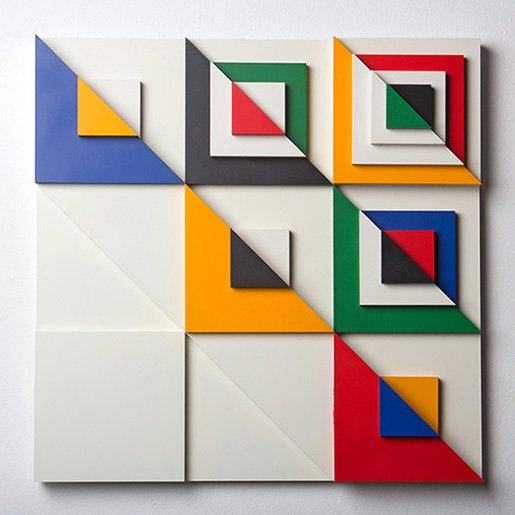 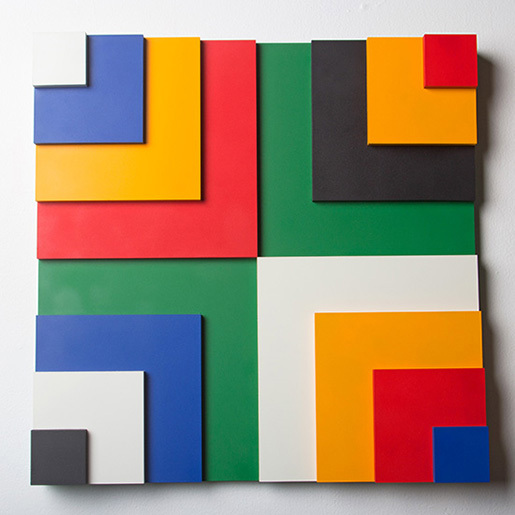 A series of 4 pure symmetry colorful compositions reminiscent of sacred geometry grids, timeless diamond cuts, and architectural monuments hangs as a family on one side of the space. 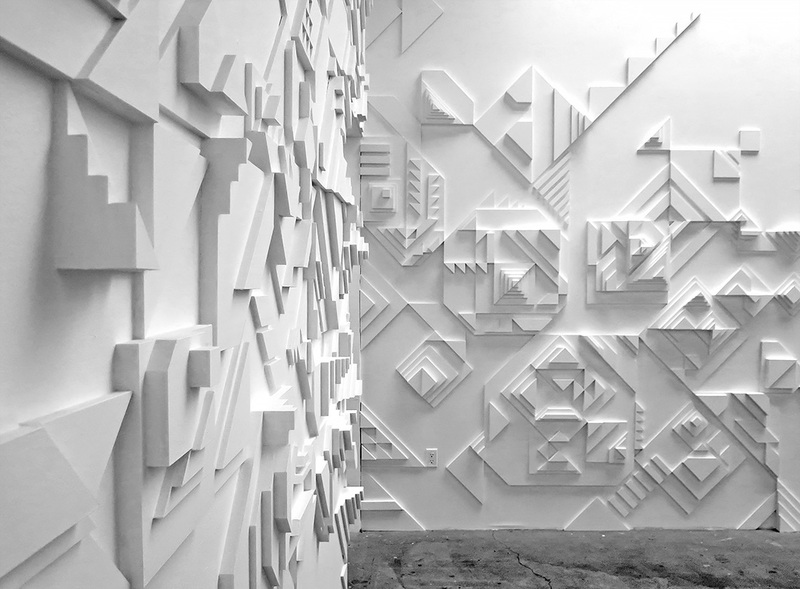 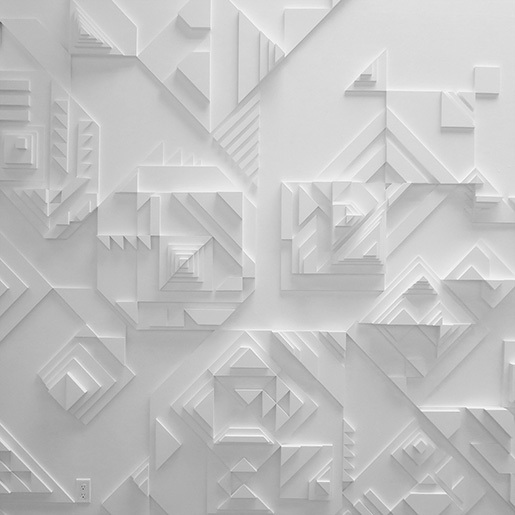 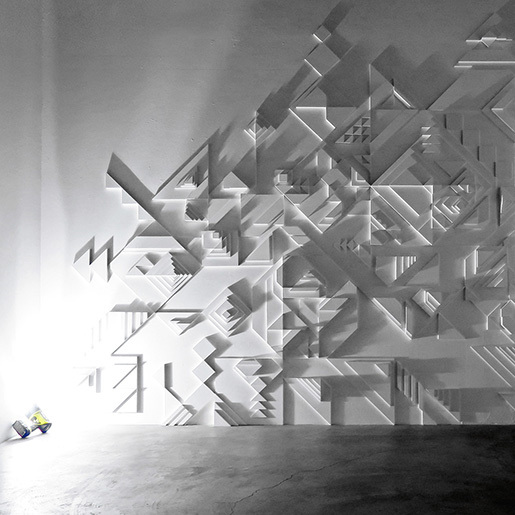 Opposite this wall is a series of 12 square works that bring Moore’s signature graphic syntax into three dimensions, playing with the eye when viewed from different vantage points. 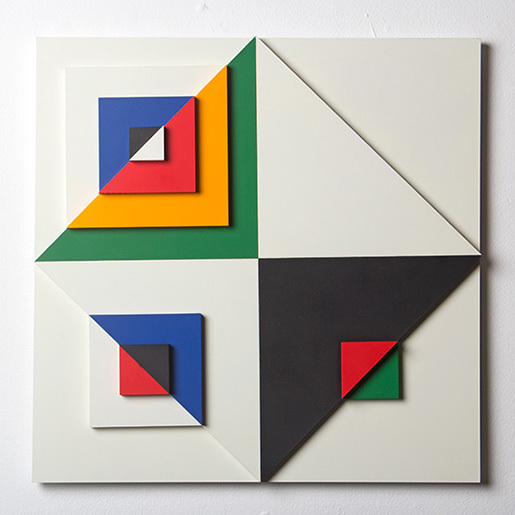 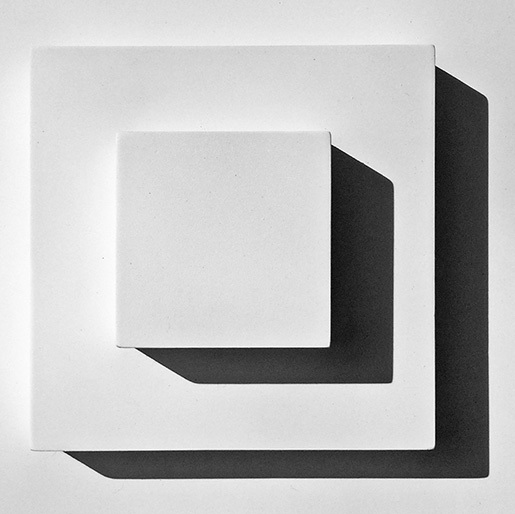 One extra large modular construct composed of 5 pieces that hang synchronized is displayed void of color to allow the viewer to explore the subtle nuances of light and shadow without the distraction of color. 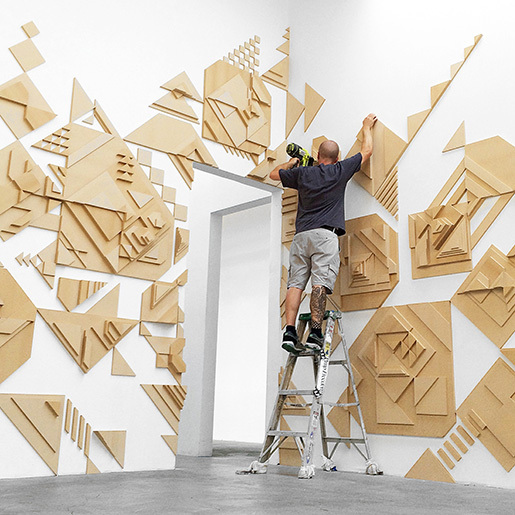 in-situ installation has been left to chance and intuition, with Moore opting to freestyle the build spontaneously rather than reference drafted blueprints.